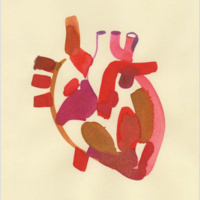 UCSF Archives & Special Collections and the Health Humanities and Social Advocacy Initiative present cardiologist and author Dr. Sandeep Jauhar in conversation with UCSF’s Guggenheim award-winning doctor-writer Victoria Sweet. In his latest book Heart: A History, Dr. Jauhar tells the colorful and little-known story of the doctors who risked their careers and the patients who risked their lives to know and heal our most vital organ. It has been praised as “gripping…(and) strange and captivating” by The New York Times, “fascinating” by The Washington Post, and “poignant and chattily erudite” by The Wall Street Journal. A practicing cardiologist, Dr. Sandeep Jauhar is currently a contributing opinion writer for The New York Times. He has appeared frequently on National Public Radio, CNN, and MSNBC to discuss issues related to medicine, and his essays have also been published in The Wall Street Journal, Time, and Slate. Dr. Jauhar is also the author of Intern: A Doctor’s Initiation and Doctored: The Disillusionment of an American Physician. Dr. Victoria Sweet is an Associate Clinical Professor of Medicine at the University of California, San Francisco, and a prize-winning historian with a Ph.D. in history. She practiced medicine for over twenty years at Laguna Honda Hospital in San Francisco, where she began writing. The New York Times has called her ideas “hard-core subversion”; Vanity Fair has judged God’s Hotel to be a “radical and compassionate alternative to modern healthcare,” and Health Affairs has described Dr. Sweet as a “visionary” and “subversive in all the best ways.” She was awarded a Guggenheim Fellowship (2014) for Slow Medicine: The Way to Healing. This event is brought to you by the UCSF Library Archives & Special Collections and the Health Humanities and Social Advocacy Initiative. Archives Talks are free and open to the public. This Archives Talk will be followed by a reception.